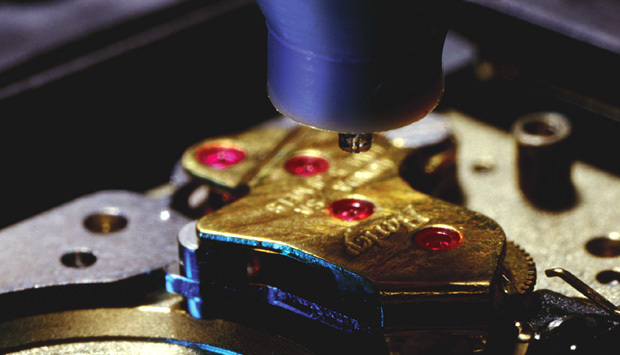 The product line of the microdrop Technologies GmbH covers instruments for the precision microdispensing of technical fluids in the picoliter to microliter range (1 to 200 mPas viscosity at room temperature, heatable heads up to 160 °C, xyz-stage with 1 micrometer precision, glove box set-up). 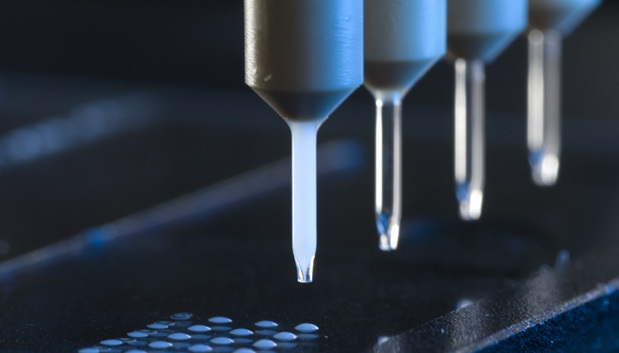 Liquid handling, spotting and automated dispensing of liquid amounts in the sub-microliter range is an essential step in many production processes as well as in R&D applications. The development of new coatings, dispersions, inks and functional polymers is an important materials science topic. 1 micrometer precision, glove box set-up). The fluids can vary from water-born inks to oils, lubricants, adhesives, coatings, dispersions, (bio)polymer and nanoparticle solutions. 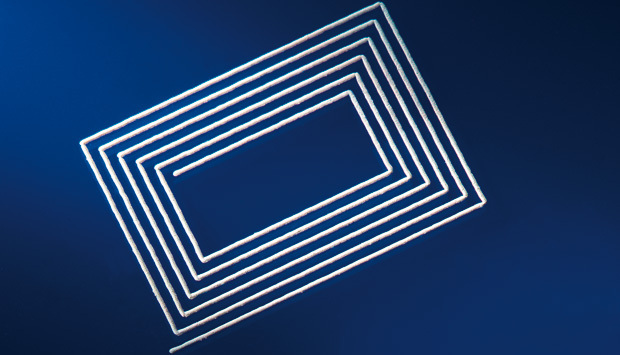 Application areas range from sensor technology, minimal lubrication (watch fabrication, precision bearings), polymer electronics (OFED, solar cells, RFID tags, displays, conductive connections) up to micromechanics and optics. In addition, biological systems can be processed (DNA, proteins, cells). Heights of dots, films and columns from 50 nm up to mm (3D-printing) can be reached. The microdispenser systems fabricated by microdrop Technologies are constructed in a modular way and can be tailor-made for the needs of the customer.